Stone cold Bud Lights and Stone Cold Steve Austin. Backyard wrestling rings, tall boys, and trailer park shenanigans epitomize everything Big Baby Scumbag is about. 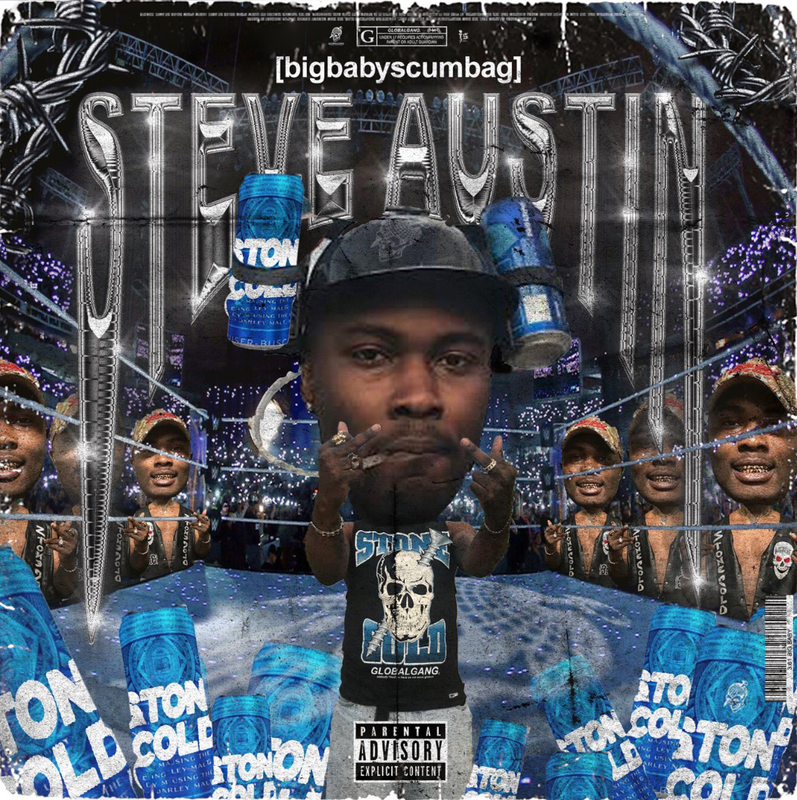 On his most recent single "Steve Austin" Big Baby goes unconscious with rapid-fire bar after bar on heavy keys from Paul Maxwell. The newest face of Northern Florida reps Tampa with pride, and is one of the loudest, funniest artists to hit the scene in quite some time. Since the start of 2017 Big Baby has had his hand pressed on the killswitch, releasing single after single. "Steve Austin" continues his hit streak. Listen below.